Complete set with proportional 4-channel infrared remote control, servo-steering, powerful gear motor and battery tray. 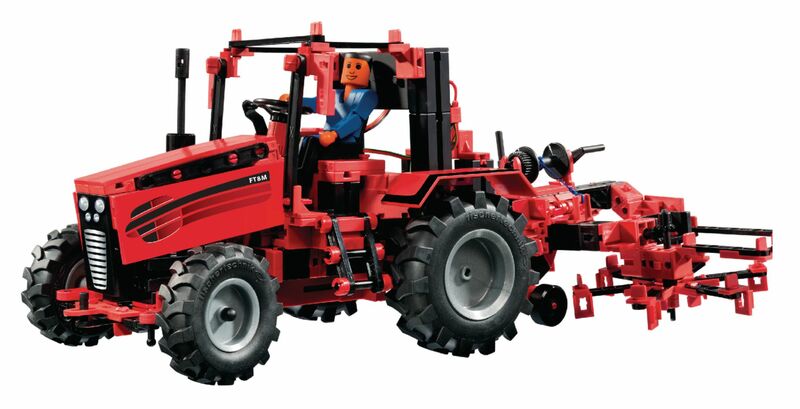 Over 540 parts allow construction of a tractor with 7 working attachments. The rotary mower, double rotary windrower and hay turner are driven by a rotating power take-off. 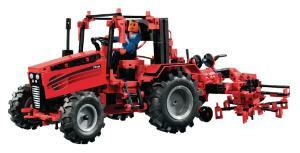 A harrow, two-way plow, cable winch and pusher plate offer further features for more fun. The speed of the gear motor, the angle of the servo-steering and two additional motors (not included) are all designed for infinite control. Incl. play figure! 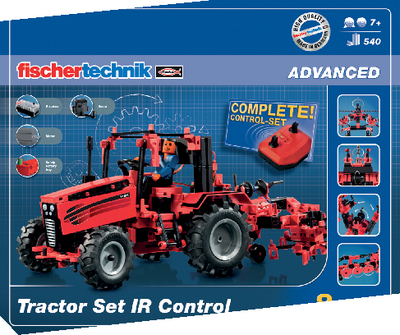 Including IR remote control, receiver, servo-steering, gear motor and battery tray for 9V block (Batteries NOT included).